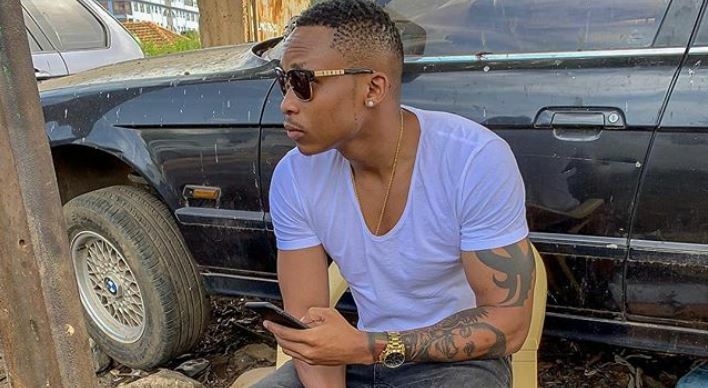 Musician Otile Brown has distanced himself from rumors going around that Vera Sidika’s beauty parlor has flopped. Word on the street has it that the socialite is closing down shop after netizens noticed that the salon’s Instagram page was inactive for quite a while. 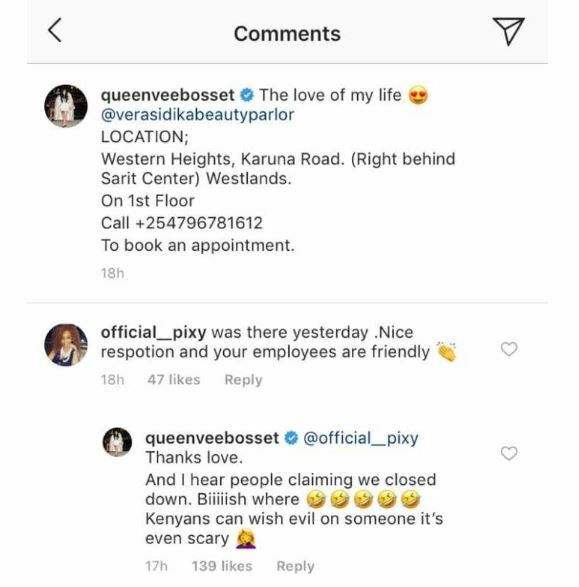 Vera Sidika also recently advertised vacancies at the posh salon, fuelling rumors that her staff had quit for greener pastures. 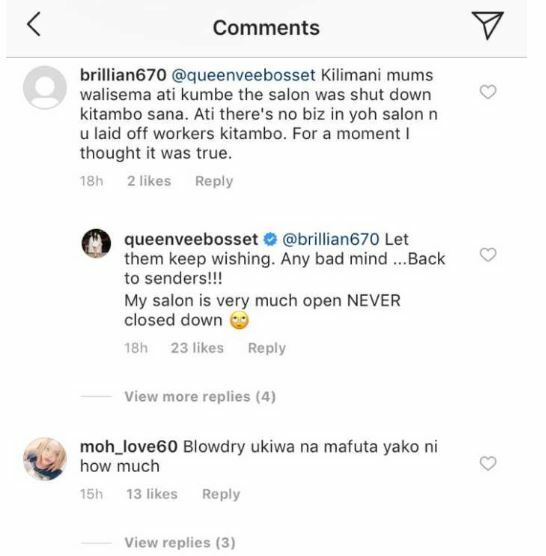 Others speculated that Vera Sidika was unable to run the beauty shop. But the former reality television actress has since dismissed the rumors following her month-long holiday in the U.S.
She took to Insta on Monday to claim that an ex was spreading the false rumors but did not indicate whether it was Otile Brown. “I was told that some ex was spreading these rumors. They wish. NEVER closed at all. Only on Christmas Day. People like it when they see you fall. 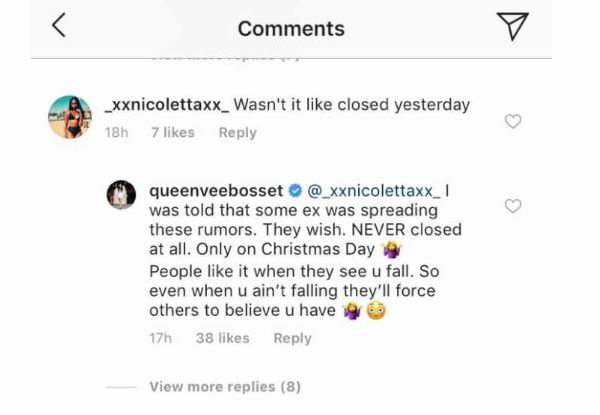 So even when you ain’t falling they’ll force others to believe you have,” said Vera in response to a comment by a fan. Naturally, Otile Brown bore the brunt of Vera’s allegations. This forced the ‘Chaguo la Moyo’ hitmaker to pen a heartfelt post on Instagram yesterday alluding that ‘you know who’ has been mudslinging his name to impress the masses. Otile Brown made sure he put his point across as he used his native Swahili Sanifu to express himself like a true gentleman.